It is still Spring time in ATX, and I am so brave to wear black and white. I love it. I've always been attracted to this color combination. They're beautiful backdrops for every accessory. Black and white are the colors you can easily combine with another. In fashion, I perceive black and white to be brave, bold, romantic and classy. However, I am not minimalist. I have and love some colorful pieces in my closet. But most of my clothes are black and white. If you don't like 'em as much as I do, that is okay. We are entitled to our own preferences. So, I went shopping at Target last two weeks ago for groceries, (wife duties) and there's this section in the store that says "Sale & Clearance"; where women like me can browse for 1-2 hours and then we are eventually tempted to buy something. But hey, remember, you always have the power to resist shopping. It is all in the mind. Know your priorities. Just a little trivia to all my Filipino readers, Target is a store retailer here in the US. In Mindanao, it is almost like a Gaisano or SM department store. Isn't it pretty? Even though it is a black and white outfit, it sure still has the Spring feels. When I was a little girl, I used to love watching music videos on MTV/MYX. Seeing celebrities wearing a dress with a layer of shirt underneath made me dream to wear a pair someday. Glad it's back in the cycle! 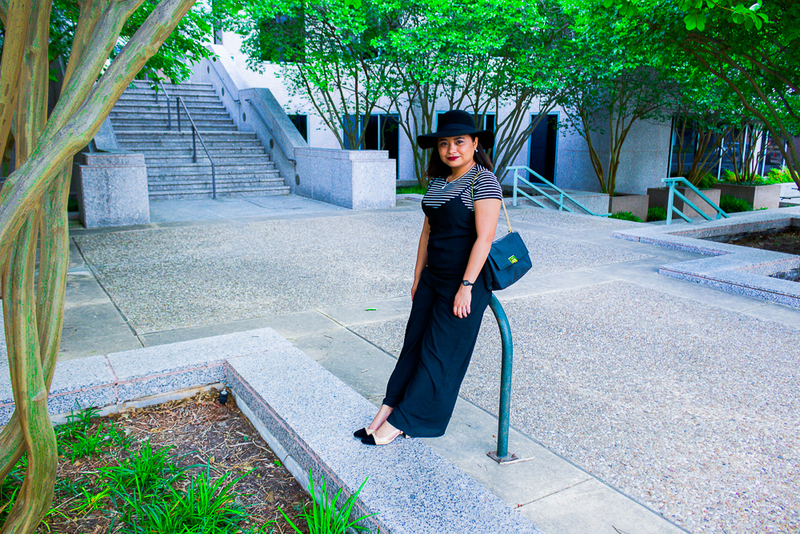 I accessorized my outfit with a black hat, a cross body bag with gold chain strap (the closest I can get to a Chanel bag), a pair of cap-toe slingback block pumps, a necklace with a round crystal-like pendant and silver-pearl earrings. 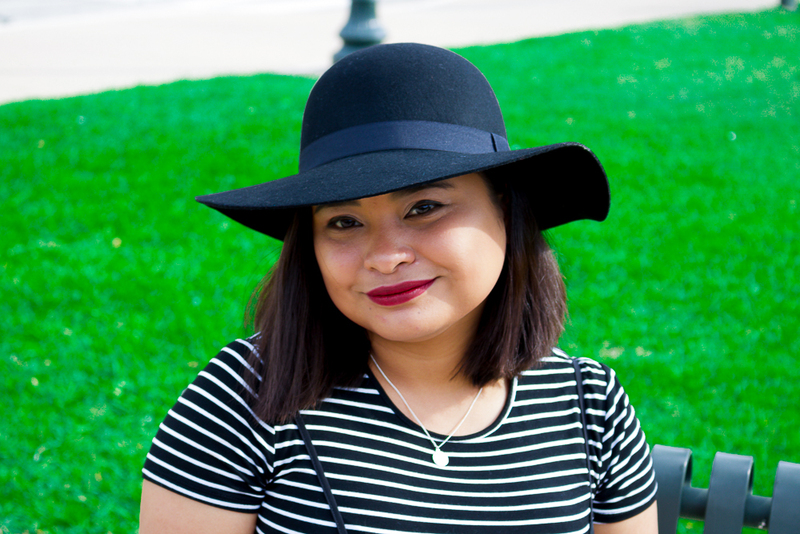 It was a beautiful day last Sunday and so we went out for a blog photo shoot at the Texas Capitol before church. The blooming greens are wonderful! Ahh, this place reminds me of my husband and I's first date since I move to America. I am still in awe of the beauty of the Texas Capitol. Again, thanks to him for taking these beautiful photos. He's awesome! Y'all should check out his latest music and some good old songs on the top right section of my website. Ghost Feather. There is a button on the page that will navigate you to his own site.